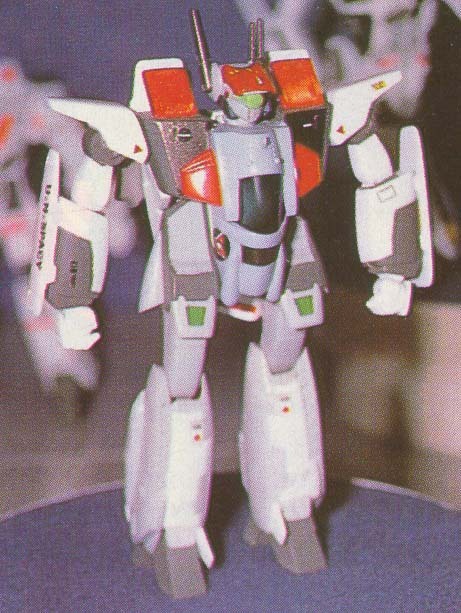 Macross Plus had its roots 10 years earlier in a cancelled Kawamori project called 'Advanced Valkyrie'. 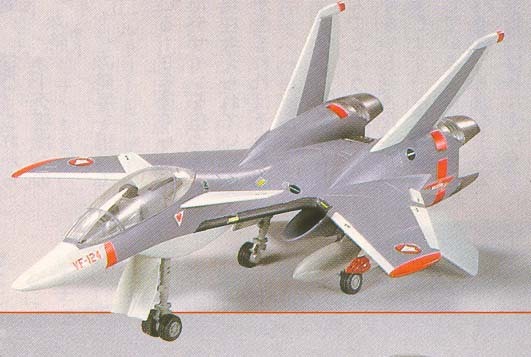 He was going to create a series of aircraft for model company Bandai loosely related to the Macross series. The background story was VF-X research at a UN Spacy Base...sound familiar? ADVANCED VALKYRIE: It's more than just simple variations! 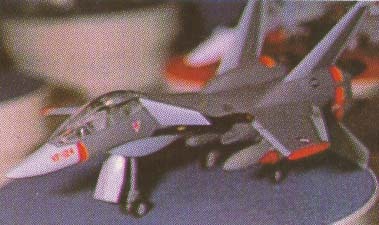 MJ: What kind of project is Advanced Valkyrie? SK: Having directed last year's Macross movie, I'd pretty much done all that I'd wanted to do with Macross. 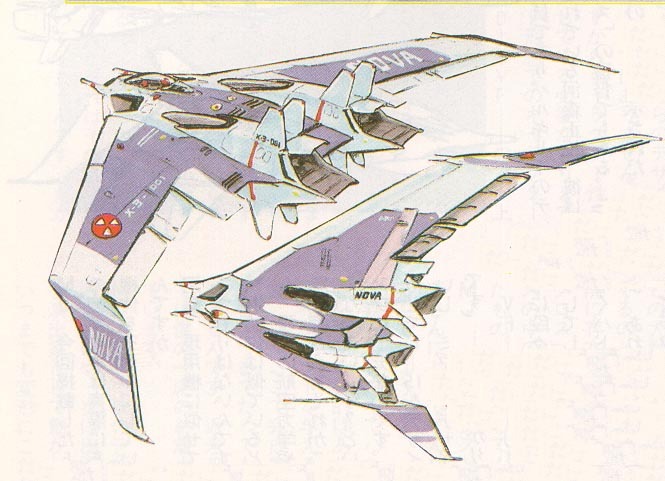 So Advanced Valkyrie isn't a sequel to Macross. Macross is a conglomeration of three aspects: the use of music, the use of characters, and mechanics. I want to try working separately from the Macross concept by focusing on each of these points individually. This time, the project is to dig into the mechanical aspect, and in particular the Valkyries. It focuses on aircraft, which I love more than anything else. MJ: Did you model the five designs you've just released on actual real-world aircraft? 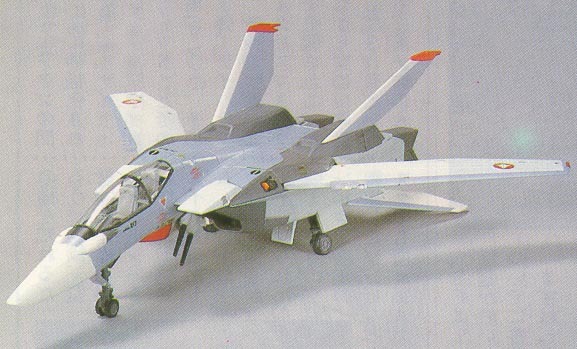 While I was designing the VF-1 Valkyrie, it gradually started resembling the F-14, and because of that I think I took it too far. 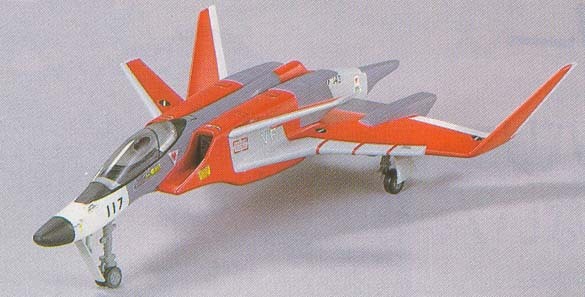 That design was based on the battroid mode from the beginning, not the F-14. Also, these designs that were just released are rough designs. They're production sketches. And maybe the prototypes should be called aerodynamic testing models? (Laughs) As the designs progress, it will become possible to transform them up to the Gerwalk level. MJ: What form are you aiming to have the production take? SK: I'm aiming for designs that use technology from about ten years in the future. I think that it'll be interesting if my own original ideas that are different from anything of the present day develop during the creative process. MJ: What is the storyline of Advanced Valkyrie? SK: I'm thinking that it will be set in America sometime in the early 2000s. 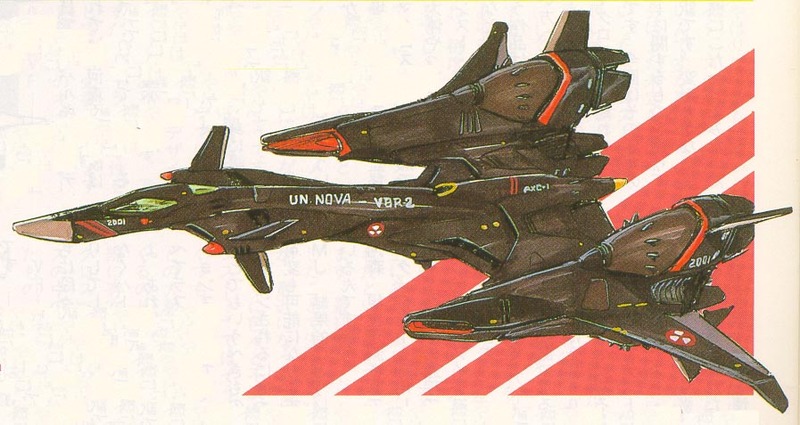 The main characters are the test pilots for an organization called NOVA, which tests and researches variable aircraft. I don't want to focus on warfare; I think it's better to portray the emotions of these test pilots at NOVA, which is far removed from the battlefield. But of course it wouldn't be good leave out battle scenes from the film, either. (Laughs) I also want to portray something along the lines of the novel The Right Stuff, but I don't want to totally imitate it, so the details are still undecided. MJ: And speaking of which, what we want to hear is if the project will get animated or not. . .
SK: It can't happen at this stage. 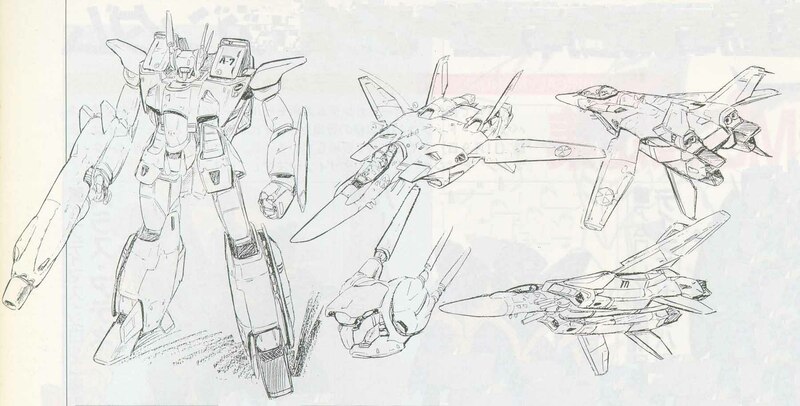 What I mean is, all of these designs were created without thinking about the limitations on animated mechanical designs. This hasn't been made very clear of late, but mechanical design for the purpose of animation and mechanical design for other purposes are certainly different, and I think that they have to be. It's not a question of which is better. Animation is two-dimensional, and so it's necessary to characterize and "deform" the designs. 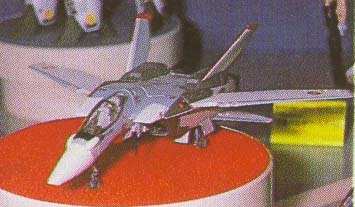 So, from a characterization standpoint in battroid mode, I think the VF-1 is superior to the VF-3000. MJ: So you're saying that you were more conscious of the 3-D than the anime aspect of these designs? SK: That's right. 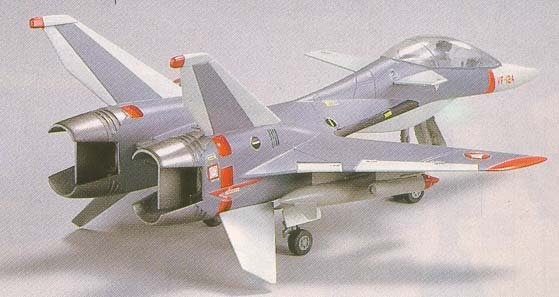 At any rate, whether in plastic-model form or otherwise, Japan doesn't really produce original aircraft, do they? It's like that for real planes, or should I say we only have original designs in anime. I like aircraft, but I like machines that are changed somehow so as to be original more than real aircraft. And I want plastic models of things like that. (laughs) I started designing them because I wanted them for myself. But it seems like there are definitely people besides me who want things like that, too. And because these designs are three-dimensional, a person can tell if they're going to be able to fly or not just by looking at them. So the designs have to respect the fundamentals of aerodynamics at some base level. But, it's no good to totally ignore characterization, either, so I've thrown some of that in there as well. Anyway, I just want to be able to hold something real in my hands already! MJ: What exactly is it that draws you toward aircraft and thus to Valkyries? SK: A system that seamlessly connects air to ground is at the heart of my fascination with aircraft. 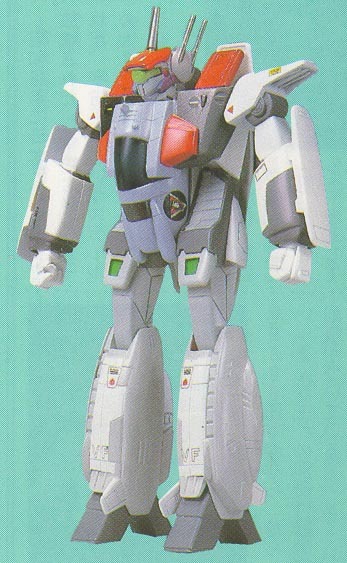 I have a lot of affection for the Valkyrie because it's a linear extension of current technology in that if it's just up to Gerwalk mode, I think it'd be possible in real life, and it's also got a lot of inherent character as well. 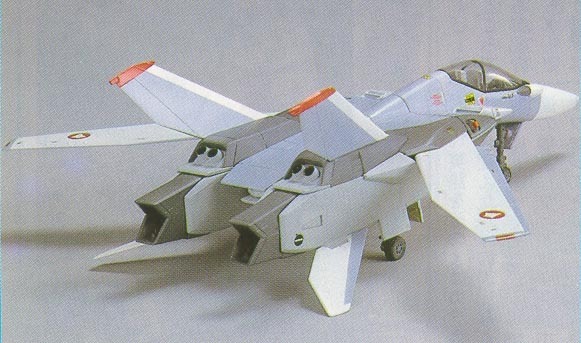 I'd planned to conclude everything with the design of the Super Valkyrie, but when I saw the toys of them I was dissatisfied in a number of ways, and so "Advanced Valkyrie" was my way of resolving that dissatisfaction. Also, for me, the Valkyries are real aircraft that exist in the future of my imagination, just like the Zero Fighters and Mustangs you see in every World War II film. 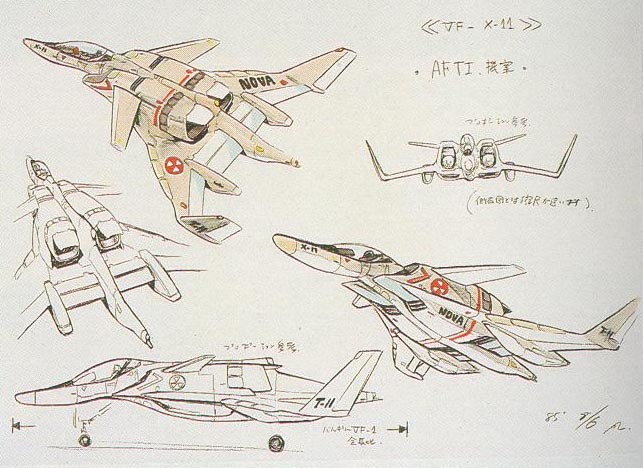 So you can explain it as the VF-1 from Macross being a variation of one of the fighters from that series of aircraft in my head. MJ: What kind of meaning does Advanced Valkyrie have for you personally? SK: My aim is to create a conclusion within myself for the Valkyries. But I think it's difficult to convey the impact of that to another person. I feel like if I don't increase the realism of the designs and bring things to A conclusion, I won't be able to move up to the next level. I'm aiming for this project to be my end point for designing of near-future fighter aircraft, for the time being. MJ: And then you'll start work on the next design? SK: No. If I can, I want to work as the director of other peoples' work. 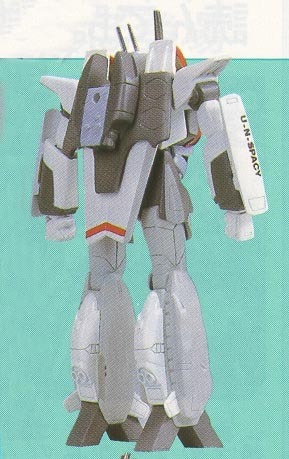 Although I have reservations -- "will we ever get new kinds of toys if we always stick to transforming designs?" I've also been shown a lot Of designs from fans, but I think that you can't get a good design unless you reduce the number of lines and simplify things. At any rate, I've recently started to see that if I don't exhaust all of my ideas with regards to the Valkyries, I'll never get any totally different ideas. So I want to somehow bring this project to reality, and work it out of my system -- for the good of my next project. MJ: We're eager to see the final design for each aircraft as quickly as possible. And we're looking forward to seeing you play an active role spanning both the designing and directing worlds. 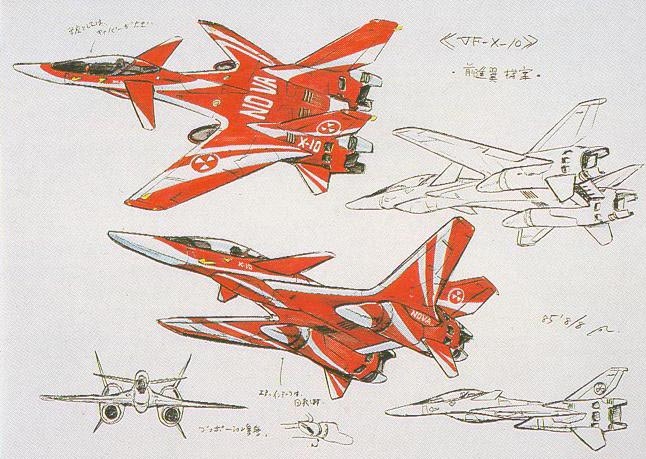 The Future: Kawamori is finally bringing his Advanced Valkyrie series to the Macross World. 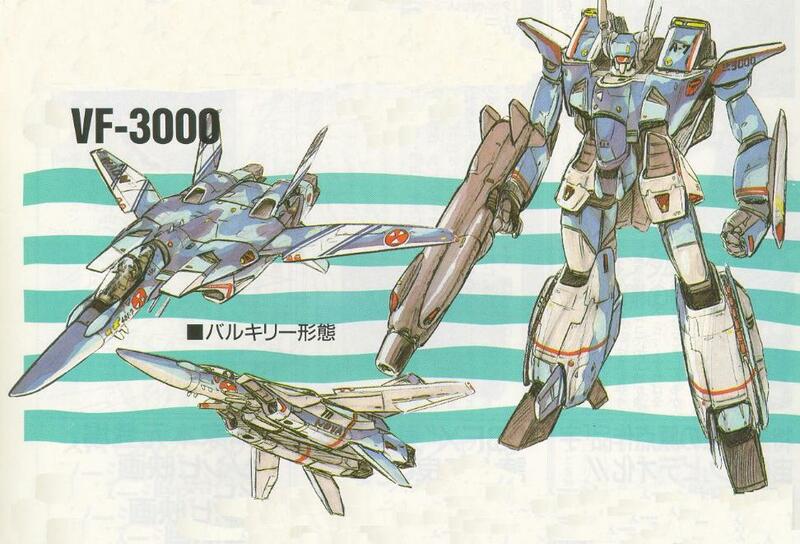 Two valkyries will appear in the upcoming Dreamcast game 'Macross M3' : the VF-3000 and the VF-X-10. 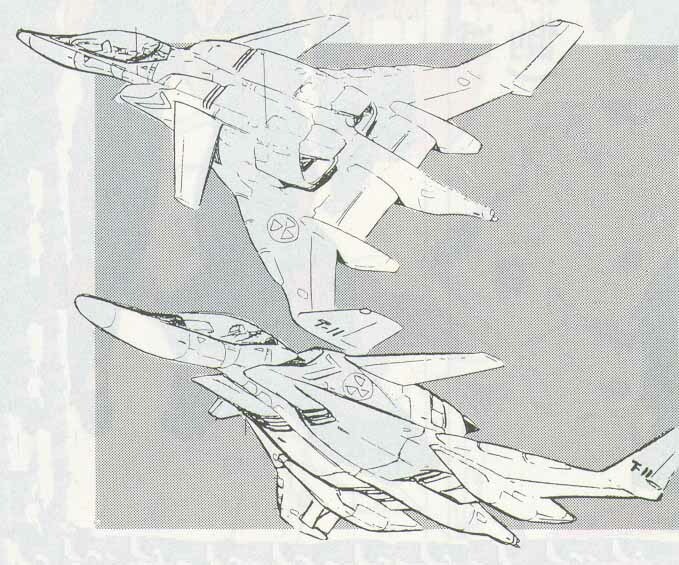 Captions inside the gaming mags say the old VF-X-10 based design is to be called the VF-9 (although it clearly states VF-X-11 on the canopy cover-but how can that be when the VF-X-11 is the VF-11!? Huh? Exactly). Who really knows-we'll find out the correct names when more info on the games is released shortly. Extra! Here is a beautifully animated VF-3000 movie from NT Factory! Click here to view the Movie (Apple Quicktime required) 348K...WOW!